Double hung/double slider windows each have two sashes that operate. 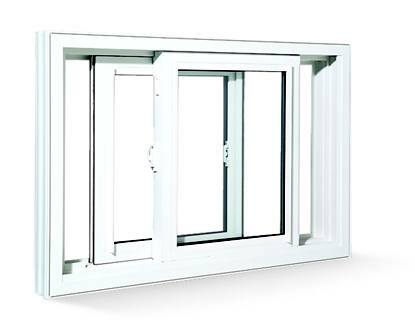 Double hung windows operate by lifting or sliding the bottom sash up and the top sash down, while double slider windows have one sash that slides horizontally from the left and one from the right. Double hung windows utilize spiral balance hardware on both sashes for easy operation up or down and have the ability to stay open in any position. Double slider windows utilize nylon glides on both sashes for smooth consistent operation. Both sashes on double hung and double slider windows tilt in for ease of cleaning from inside your home.